I have completed the minimum requirements of (1) at least 300 hours of experience as a head trainer (2) a high school diploma (3) three references from a vet, client and colleague (4) signing a code of ethics (5) passing a 250 questions exam about animal husbandry, instruction skills, learning theory, equipment, business practices and ethics. I have completed the minimum requirements of (1) 500 hours in canine behavior consulting on fear, phobias, compulsive behaviors, anxiety and aggression within the previous 5 years and I have logged those hours to prove it. (2) I have gotten 5 anonymous (these were filled out and sealed and I have never seen the recommendations) references from colleagues, clients and veterinarians. 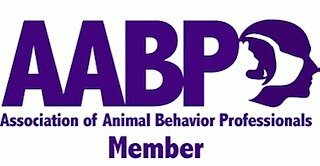 (3) I signed a Code of Ethics (4) and I passed a 180 question standardized exam about applied behavior analysis, consulting and best practices, biology and anatomy, health, development and life stages of dogs, ethology and body language. We primarily use positive reinforcement. The type of positive reinforcement depends on what motivates your dog and at what time. Most dogs can be motivated by food, attention and playing or any combination of those depending on the dog. Dogs (and other animals) respond very well to positive reinforcement training. Positive reinforcement based training enhances the bond you have with your pet and produces results without bullying your pet. First Class Canine does not employ the use of of prong collars, choke chains, shock collars, alpha rolls or scruff shakes. We feel that there are better alternatives available. We may suggest the use of other equipment (that is not aversive to your dog) to lessen frustration on the owner's part while you are training. Special equipment should only be used short term and not throughout the dog's life. First Class Canine believes that you should use the least amount of force possible at all times. For more information about dominance theory in dogs, click for a statement from the APDT, the Humane Hierarchy Position Statement from the Certification Council of Professional Dog Trainers, and a great explanation about dominance from Dr. Sophia Yin (what it is and what it isn't). Yes! We primarily clicker train. We feel as though this is a very effective and humane way to teach your dog. We can employ the same principals without the use of a clicker if there is a reason to. Why? Because we understand the science behind it. The clicker itself is just a marker signal. You can use anything as a marker signal however the clicker does have some great advantages. If we clicker train the dog do we always have to have a clicker with us? No. The clicker is only used to teach new behaviors. We use real life rewards and treats as reinforcers after the initial learning period. Do you do any other types of training? Right now, First Class Canine does manners, trick training, fun and games classes,C.L.A.S.S. training, Triebball training and behavior modification for the family dog. These training sessions would be the foundation for any other work you may want to do with your dog in the future. Check the website to see if we have any going on in the future or contact us if you are interested. We plan on adding new classes and services soon. Please check back with us or contact us with your requests. Behavior modification is used to change a dog's feelings or response to a particular stimuli. We use this for aggressive and fearful behaviors. Our dog bit someone. Can you help us? It depends on the situation. Please contact us and we can discuss the incident and whether we feel we can help you with your dog. We got a new puppy and want to start class. What do you suggest? 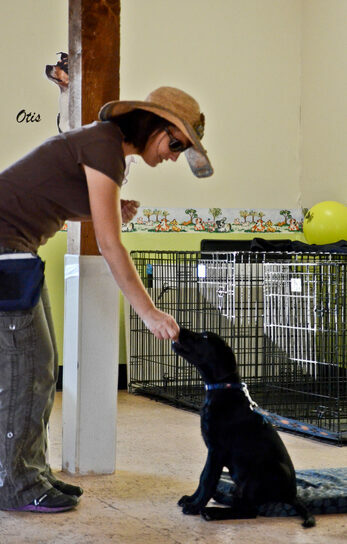 An important part of any puppy class is socialization. A group class is traditionally a good bet but in-home training can also be effective as the trainer may ask that your family meets the trainer at a pet-friendly place where the puppy can get the necessary socialization. There are other important aspects to socialization that will be covered with at home training. My dog is X years old. Is he too old to be trained? No way! Any dog, no matter what age, can be trained. But if these unwanted behaviors are new, you should call your veterinarian as these could be signs of a medical problem. Why do you charge a fee for initial consultations? We do not offer free evaluations because we want to focus on what we can do for your family and your dog instead of trying to sell you our services. 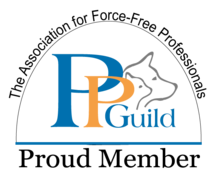 The purpose of the consultation is to get an idea of what type of training or behavior modification your family needs to make your dog the best he/she can be and to give you an idea of what that would entail on your part. A lot of work goes into the initial consultation, especially when it is about a behavior issue. We think that our website gives a great deal of information about who we are, what we do and what methods we use. If you would like an in person evaluation, please send us an email. We understand that some people are uncomfortable with committing to a trainer/ canine behavior consultant without meeting them. First Class Canine accepts cash, check and major credit cards. Have a Question not shown here?